If you are about to Cambodia, then you could go to Koh Rong Samloem because this island has a beautiful nightlife named Planktons Cambodia. 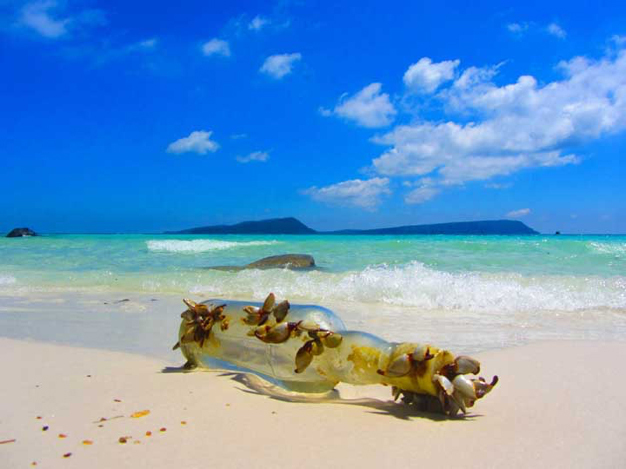 Also, you can do other fabulous things on the Koh Rong Samloem paradise island with friends and other expats. Even you are so excited and want to take your backpack right now, you should know how to get there and and what to do. Check it out! 1. 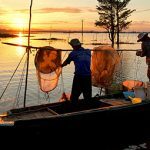 How to get to KohRongSamloem to relish Planktons Cambodia? 2. Where do you stay? 3. How to get around Koh Rong Samloem? 4. 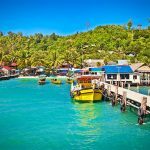 What to do in Koh Rong Samloem? 5. How to watch the plankton lights on Koh Rong Samloem? To come to the paradise island, you need to take a boat. This is the easiest way to get to Koh Rong Samloem, but you should take two boats from Sihanoukville. 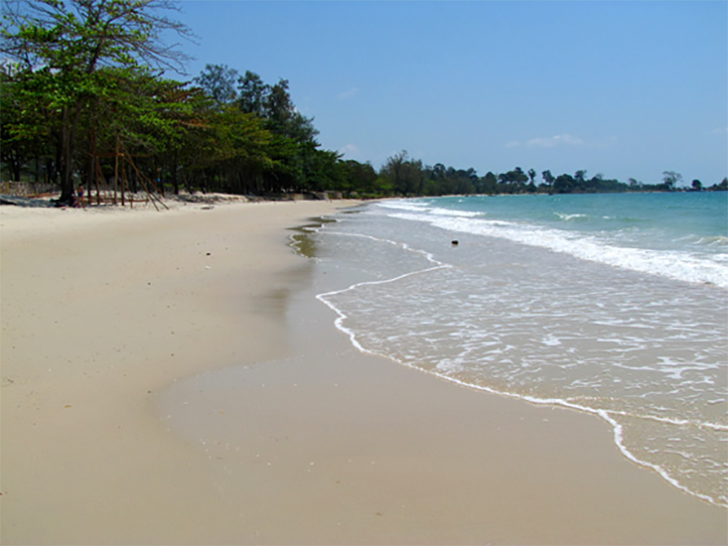 In fact, there are two islands which are Koh Rong and Koh Rong Samloem in Sihanoukville. These islands are smaller and quieter version. And it is said that Planktons Cambodia appears in Koh Rong Samloem. Transit from Sihanoukville by boats is a great mode of transportation, but you might feel uncomfortable in the bad weather such as rainy days. When you feel it is dangerous, you should not get on the boat. There are two different quick boat services from Serendipity to Saracen Bay will allow you enjoy the sun in paradise. The Speed Ferry leaves the mainland at three-hour frames that are 9 am, 11 am, and 15 pm. The boat stops at Saracen Bay around 45 minutes. The return trips, on the one hand, leave Saracen Bay at three-hour frames which are 10 am, 12 pm, and 16 pm. You can buy tickets on the island at Orchid Resort on Saracen Bay. When it comes to the iSpeed Ferry, they have many journeys out a day. They usually stop at Saracen Bay and Koh Touch on Koh Rong. In Saracen Bay, the departures are often at 10.15am and 15.45pm. Once you travel to the village, there are several signs guiding you in the direction of the guesthouses or bungalows. Also, most hostels offer affordable price (from $10 to $80 only) so that you can save many bucks. Here are a few guesthouses that you should come across. Unfortunately, there are no cars, motorbikes, horses, Tuks-tusks, ox-carts for expats to go around on the island. Because the lengths of all beaches are reasonable enough for tourists to walk around. In other words, you will need to depend on your feet to get from Saracen Bay to Sunset, Planktons Cambodia, and Lazy beaches. These are connected through separate paths. In my opinion, this is a great chance for you to do exercise and enjoy the fresh air at the same time. Go around the island and enjoy it! However, please keep in mind that there is not patch connecting Sunset and Lazy beaches by boat. In this case, you need to take a boat. Moreover, they have fast boat services which make a short trip of just 5 minutes getting from Saracen Bay to M’PaiBei. You enable to deal with a local person to take you fish on their boat. It would be a great journey on a small boat with homemade fishing lines. Also, you can reach a few small fishes and octopus. The price point is reasonable with $5 per person to take you on the boat fishing. They ought to arrange snorkeling and other outdoor activities. You can go around the island and take some pictures. Then, you enable to chill out in hammocks. During the hammock time, you ought to read, share your experience on your blog, take a nap, and chat with your friends. It is quiet, but you can enjoy the real atmosphere. There is a beautiful beach with white sands which is perfect for swimming on the coast of the island. The water is super clear and cool on a hot day. It is quite shallow, so you may go out far as small fishes swim around your feet. 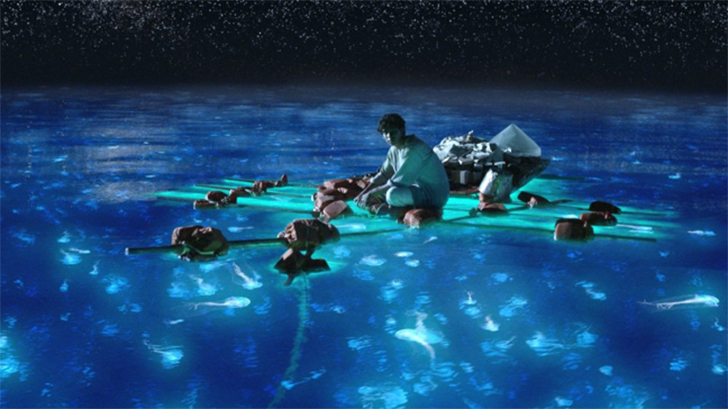 Many expats also swim through Glowing Plankton. This is another nice beach that you should not miss out! When you come here, you have an opportunity to relish Planktons Cambodia which is the night with several stars in the night sky. It is not easy to explain this condition. It is truly magical swimming through the water with a trail of twinkles. Also, it is difficult to take a picture so that you can get experienced by yourself only! Planktons Cambodia probably is the main reason you want to enjoy most. To watch the phosphorescent plankton, you need to go to the darkest side of the beach during the night and go into the water until you get about 1 meter deep. The plankton will begin to light up if you shake the water, so you need to whirl the water with both hands and feet. You maintain this to get more sparkly plankton in the water as long as you can. 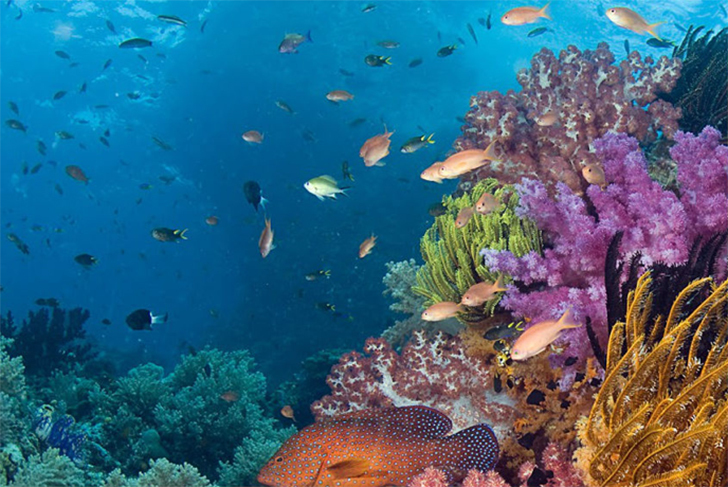 If you have the snorkeling mask, then you could use it to see the underwater condition and start to swim. It is recommended to bring the mask to see the plankton during the night and the day for snorkeling areas. Please pay attention that the plankton may bite you, but the wound is not serious at all. Probably, this place is suitable for those who love beautiful beaches with natural sightseeing; especially planktons Cambodia at night. What’s more, you can enjoy the fresh air, relax your mind, refresh your thought, and so on. This is also another great opportunity to discover the world and balance your life. So, what are you waiting for? 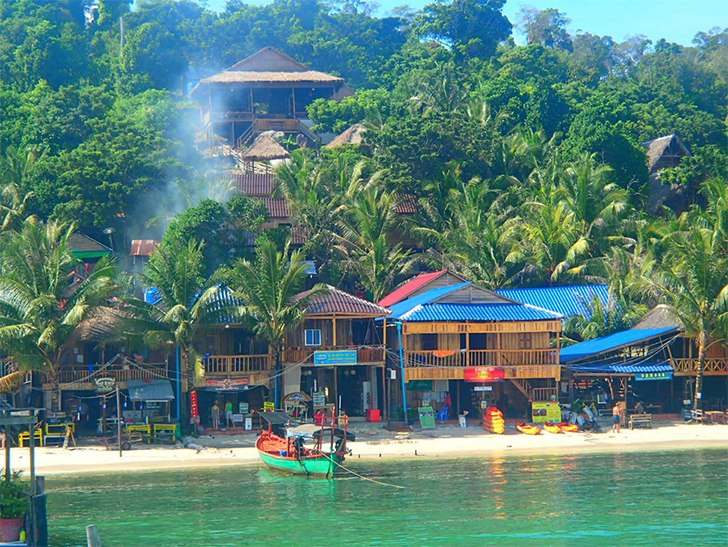 Koh Rong Cambodia – Another Paradise Island to Visit This Year! Don’t Miss Out Seeing Sunrise At Angkor Wat! How To Get a SIM Card in Cambodia?